First of all a big Thank You for supporting the school for the past 15 years in Northern Ireland. Most people who've joined us on the large variety of courses I have offered here in Northern Ireland over these last ten years, will agree that Wild-Live is not like most other schools in the United Kingdom or Ireland. 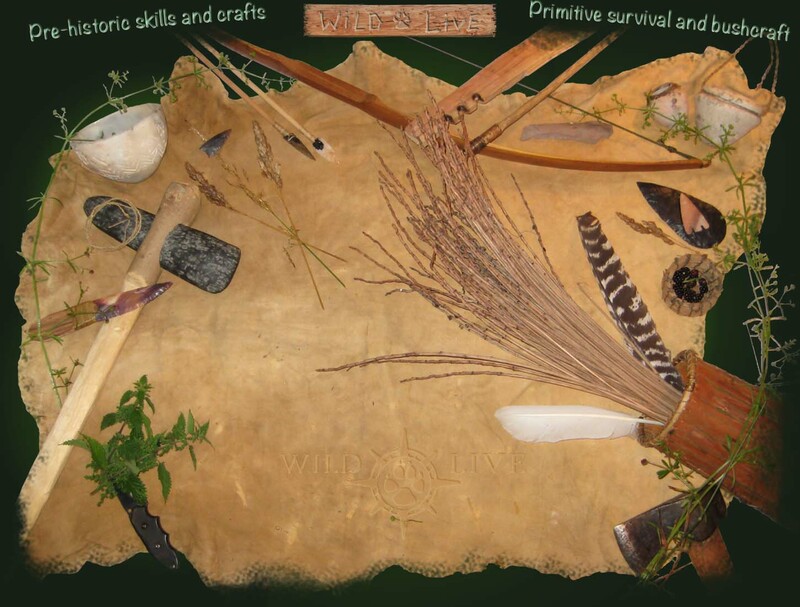 While most schools focus mainly on survival skills or bushcraft skills, Wild-Live courses go a few levels deeper to a more ancient form of living. A more "elemental" approach, if you will. Sure, many of the skills we teach on most of our courses are also taught by many other excellent schools out there. Skills such as Friction Fire-Lighting, Edible Plants and Emergency Shelter building are widely available and generate a large amount of interests through a number of television programs, books and magazine articles. However, most of our courses also include a number of skills that you will not find as part of the ordinary curriculum. The creation of Earthenware Pottery, Knapped Tools, Bark or Willow Baskets and Stone Knives to offer but a small example. Some of our courses even go as far as to introduce a natural wilderness Sauna as a method of staying clean! Through our courses you will learn all the skills necessary to replace all modern equipment should you want (or need) to. For those of you who prefer to use modern equipment, so you have time during your camping-trips to enjoy the primitive skills, our courses will offer you a way to delve deep into our shared history as human beings. They offer a path to our common global heritage. Our courses will help open your eyes to the natural world and our place in it. They will enrich your wilderness experiences as well as the experience of those who travel with you. On our courses you will realise that it is possible to live without modern equipment and conveniences, which will provide you with an improved sense of confidence and security when going on your own trips, whether going out with modern equipment or not. No matter where in the world you are. Of course, the skills we teach can allow us to replace all our modern technology, but this is difficult, if not time-consuming. Instead, allow these skills to form a gateway to our wild places. The wild places on our planet,.. And the wild places in ourselves..